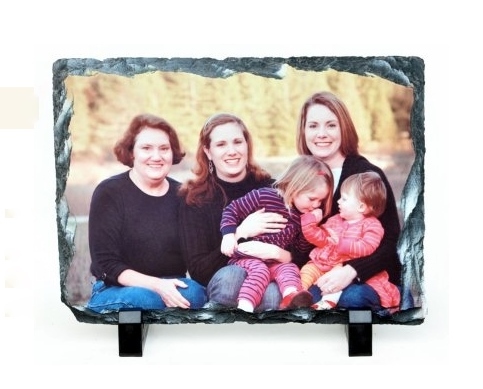 A natural slate polished up to have your photos printed directly on to. This beautiful slate measures 200mm x 150mm and comes complete with a presentation stand. For best results please provide a photo/picture as clear as possible. If we feel the quality of the picture isn't suitable we will email you and ask for an alternative picture. If you supply us with a photo that is not of an adequate quality we will ask for a replacement. This is a great personalised gift to show off your amazing photos for Birthdays, Anniversaries, Mothers/Fathers Day, Valentines Day, Weddings, Christmas…… it’s endless!